Are there high quality martial arts classes near me? The Dragon Gym is a Martial Arts and Fitness Organization Founded in Exton, PA during the early seventies and is directed by Somnath Sikdar, Lonnie Beck and Chris Taylor -- a dynamic team that remains dedicated to serving the local community by teaching the benefits of martial arts, physical fitness and healthy living in this modern era. Why Choose Dragon Gym Martial Arts? We help your child with focus, self-discipline, self-confidence, better grades, self-control, leadership, resilience and better behavior at home and school. We help your child improve their coping skills with ADD/ADHD or social interaction skills with peers, teachers and other adults. We ensure this is a safe place for your children to come together, share a common experience and cooperate and collaborate more with less squabbling and fighting. We've created a community that will help your child cope and overcome the stigma and trauma of being bullied. This is a place where your children can build their character by practicing respect, humility, honesty, determination, compassion, resilience, service and collaboration, all with a growth mindset. 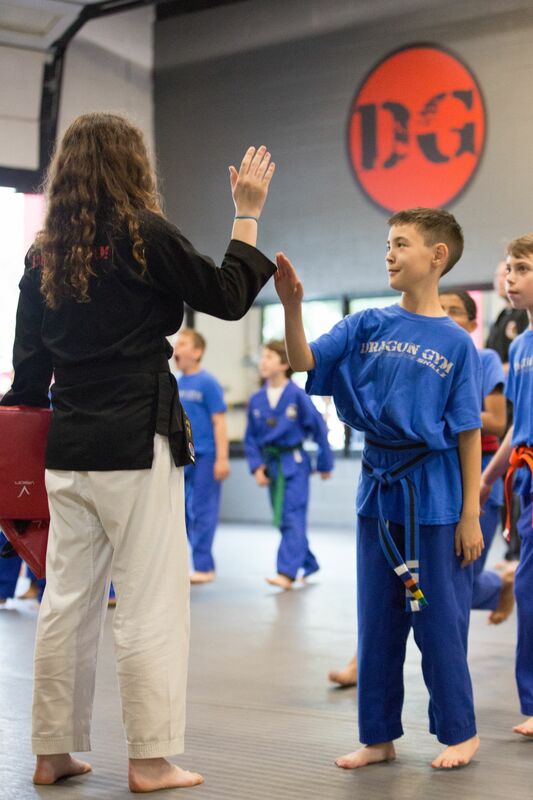 Our Martial Arts classes may finally be the sport that your child truly enjoys and embraces as their own because they have struggled to find their own way with team sports. We help your child to discover the value and importance of hard work, self-discipline, commitment to excellence and the pursuit of goals which build their self-confidence and resilience. You Can Try a Class for Free! 3 - Set up a One-on-One Orientation and get started on your trial!